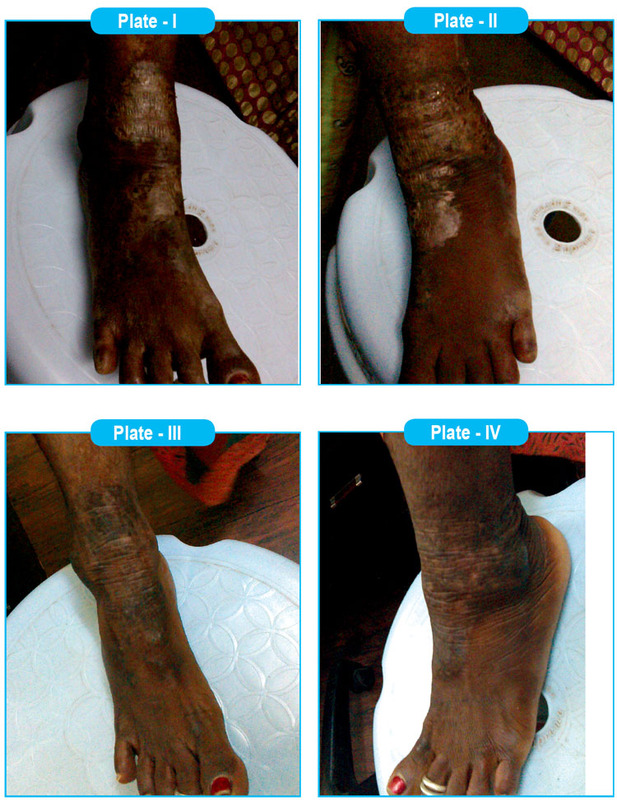 A fifty three years old female came with eczematous eruptions in both foot and ankles since 3 years. Oozing like water with swelling present. 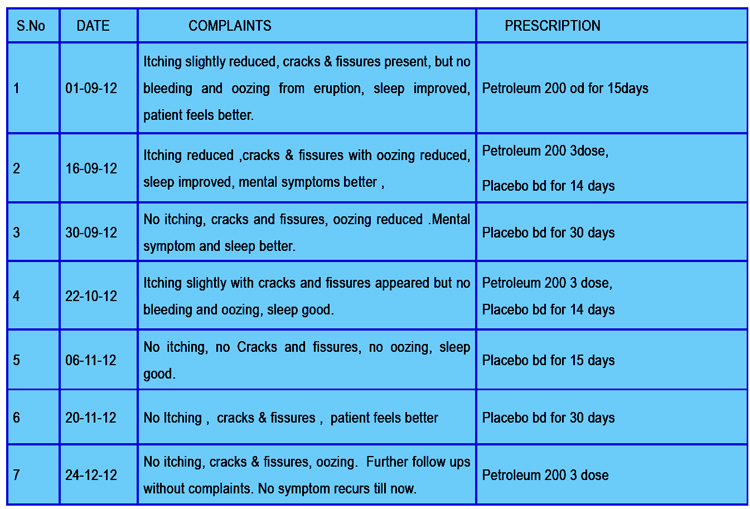 Patient took allopathic treatment but not improved well. Eczematous eruptions on both foot and ankle joint, cracks and fissures with oozing on affected places.